100% of the proceeds from the sale of this book go to the Animals Asia Foundation Moon Bear Rescue Fund. 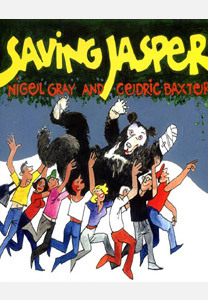 Jasper, the moon bear, spends a happy childhood in the forest before he is trapped and caged in a bile farm. Will Jasper spend the rest of his days in that terrible place, or is rescue on the way?